For the past five years MTCO responsibilities for the Savor Dallas Wine and Food Festival have included assistance with outreach to event venues and sponsors; coordination with the convention and visitor bureaus of both Dallas and Irving; management of all news and information distributed locally, regionally and nationally; and inviting, scheduling, and managing national media attending the event. During the week of the 2013 event, some fifteen radio and TV appearances on behalf of Savor Dallas were secured, scheduled and managed. 3/8/2013 Fri 8-9am Fox 4 Good Day – See chef Grant Morgan from The Ranch talk Savor! Dallas. 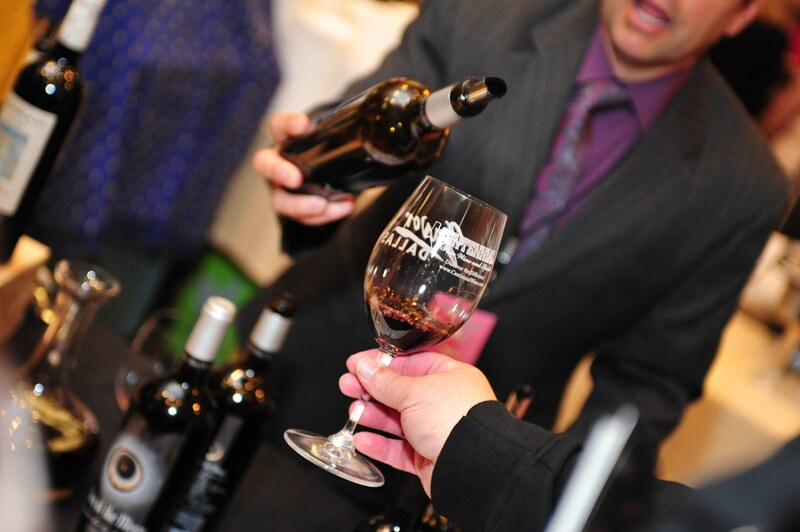 3/10/2013 Sun 7:00am CW33 DFW Close Up – Watch Jim White and Vicki Briley-White discuss great wines showcased at this year’s Savor! 3/10/2013 Sun 8-9pm KLIF Perspectives – Hear Cynthia Smoot of “Oh So Cynthia” talk Savor! 3/15/2013 Fri 5-9 AM WBAP The Morning Team On Fri. (3/15) join Hal Jay, Brian Estridge and Steve Lamb as they broadcast Live from The Perot (WBAP @5-9AM) as they cover all things Savor and talk to Savor Dallas founder Jim White. Plan to be there! Submitted by Rosie Carbo on Fri, 03/08/2013 – 21:58. The 9th Annual Savor Dallas, a celebration of haute cuisine,fine wines, beer, spirits, and the arts, is again on the Dallas horizon. One of the largest food and wine festivals in Texas, the event is expected to attract 5,000 people this year. Jim White is Dallas gem and has planned for even more this year with events spreading out over an entire week. Look for a huge event at 3015 in Trinity Grove, and we just learned of another new event at the Dallas Arboretum that will be a lot of fun. The Arboretum explodes in the Spring and on Sunday, March 17, 2013. Beer and tulips. The happiest combination since, well, beer and your two-lips. It all takes place on St. Patrick’s Day when the 66-acre Dallas Arboretum transforms into the city’s largest outdoor bar and grill for Savor the Arboretum, the newest addition to the recently expanded four days of Savor Dallas events.Even though it’s almost two weeks away, tickets are limited so it pays to plan ahead.Stroll through lush gardens on the shores of White Rock Lake while sampling premium beer, wine and spirits. Throw in food from some of Dallas’ greatest restaurants and you’ve got two hours where all-you-can-eat meets all-you-can-drink. And the crystal tasting glass is yours to keep.